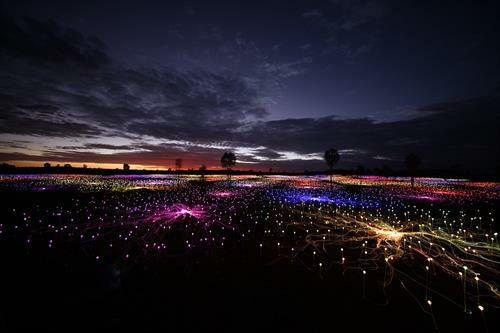 Internationally-acclaimed artist Bruce Munro will premier his largest artwork to date—an enormous multi-acre walk-through installation—at Sensorio in Paso Robles, California beginning May 19, 2019. 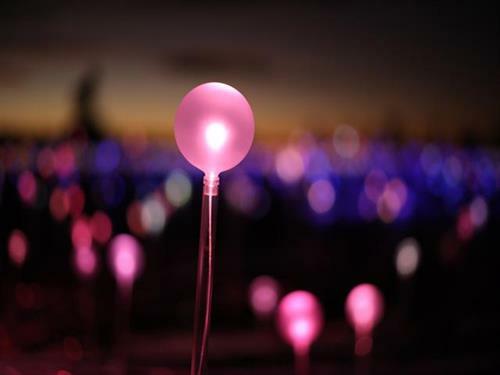 Bruce Munro: Field of Light at Sensorio will use an array of over 58,800 stemmed spheres lit by fiber-optics, gently illuminating the landscape in subtle blooms of morphing color that describe the undulating landscape. 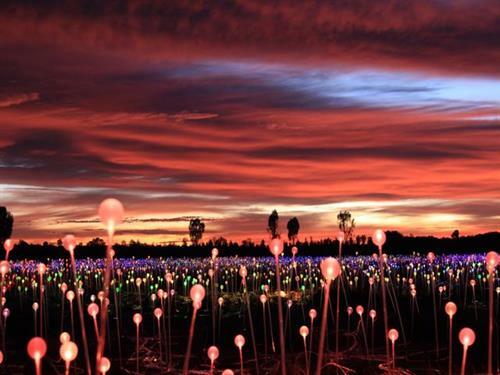 Powered by solar, the stunning exhibition will captivate visitors, inviting them to engage with the landscape and environment through an ethereal light-based and sculptural experience. Sensorio, the intersection of art, technology and nature, will be a destination for entertainment, exploration, meditation, adventure and delight. Sensorio will honor the natural topography of the landscape and offer a wide range of amusing, mystical and kinetic experiences. The Central California destination launches with the interactive light installation by Bruce Munro, as other exhibits and buildings are put into place for an expected opening in 2021. Future attractions at Sensorio will include a hotel and conference center. Take HWY 46 East towards Bakersfield/Fresno. Make a left turn at the Eberle winery entrance then make an immediate right and follow the driveway to the top of the hill to our offices.